Sunrise Ocean Bender have had an incredible run of late. If you haven’t already heard the New JuJu LP or Sons of the Void album; you need to rectify that now: seriously, do it! If you follow the blog you’ll know I’ve happily been mining (thanks Kevin, its the right word) the labels back catalogue. Evening Fires and The Movements provided me with some of the best music I’ve heard this year; as I’d missed them the first time around. In 2015, S.O.B. 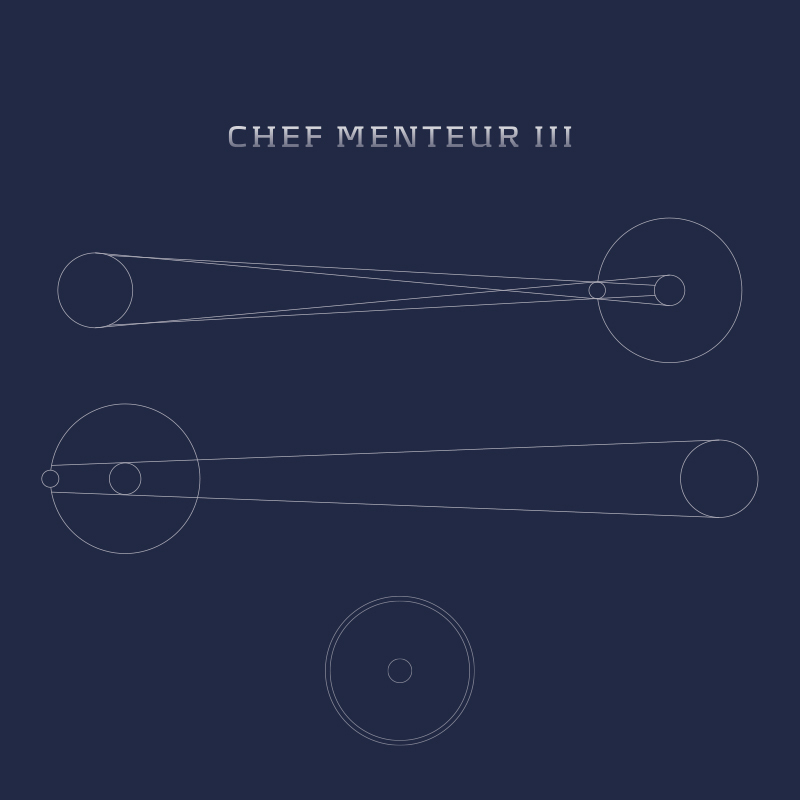 put out ‘III’; a limited edition 3 CD set by New Orleans Chef Menteur, featuring the re release of ‘East of the Sun & West of the Moon’, It’s companion album, ‘North of Tomorrow & South of Yesterday’ and a new disc ‘Force Majeure’. This new disc has been lovingly remastered from a very rare, limited edition cassette, which has long since sold out. ‘Narconaught’ kicks things off; it’s a fantastic welding together of heavy pounding and sonic weirdness. The band describe themselves as playing an intoxicating brew of Space and Psych Rock, Drone, Komische and Ambient; I’d argue they offer far more than that. There are moments such as halfway through ‘Farfisa Duo Raga’ where through the organ drones and an acoustic guitar strums in, elevating the track into something much more captivating. Another treat is the unexpected noise blast 7 minutes in on ‘Oxen of the Sun’. These moments show you how well the songs have been tightly crafted. There’s a wonderful 20 minute long track ‘Ganymede’ that serves an ambient interlude, without outstying its welcome, leading into one of my favorites ‘The Long Strand (Part2)’. This psychedelic jam is complemented by its driving beat. As companion pieces go, the second disc more than proves that the band continued to be rich with ideas. The bass work on ‘Surface Tension’ at the forefront of the track is dark and groovy; as soon as the drums smash in, you find your brain fully immerses in a cosmic meltdown; you know you’re in for another good trip. The Third Disc offers more Psychedelic Fayre such as ‘Ribbons from Lake Kwashiorkor’ and ‘Terpsichore’ as well peculiar interludes, such as plinky glitches of ‘Where Wings take Dream’ and the brilliantly named ‘Don’t invite a Centaur to Your Wedding’. What I like most about III, is the fact that it’s all packaged together so nicely; there’s so much variety within. It’s heavy; it’s Psychedelic; it drones and it’s trippy. III also sounds like one whole piece and not a set of separately released works. There’s so many fascinating strands to catch, you’ll finding yourselves wanting to hear it over and over again; it really is fantastic stuff.